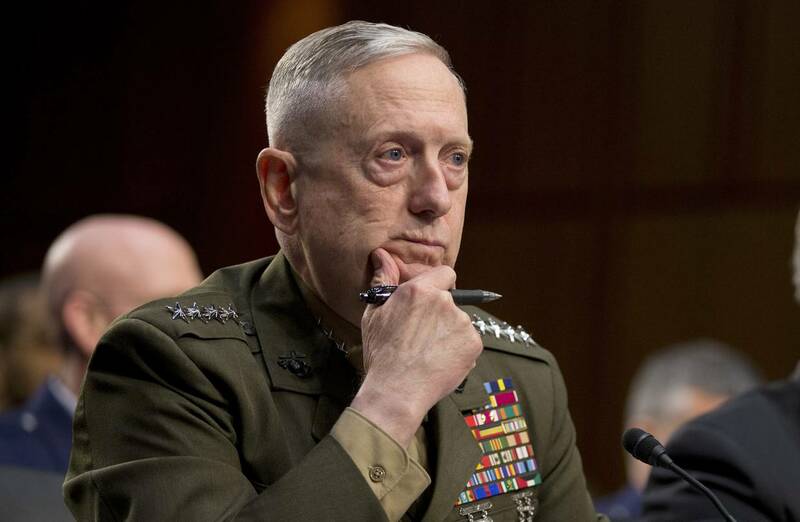 Donald Trump on Sunday assessed several more contenders for top U.S. posts including Chris Christie and Rudy Giuliani, as blunt-spoken retired Marine Corps General James Mattis emerged as a leading candidate for defense secretary. Trump held meetings at his golf resort in Bedminster, New Jersey, with candidates for senior administration jobs after he takes office on Jan. 20. On Saturday, he conferred with Mattis and Mitt Romney, formerly a fierce Trump critic now under consideration for secretary of state, reports Reuters. Trump transition spokesman Sean Spicer said no decisions would be announced on Sunday night. Trump also received Jonathan Gray, the global head of real estate at the Blackstone Group, who is being considered for Treasury secretary, according to a person briefed on the matter. The president-elect has already tapped three senior leaders of his national security and law enforcement teams, choosing U.S. Senator Jeff Sessions for attorney general, U.S. Representative Mike Pompeo as CIA director, and retired Lieutenant General Michael Flynn as national security adviser. The selections so far suggest that Trump, true to his campaign promises, intends to steer national security and foreign policy in a sharply different direction from that of Democratic President Barack Obama, whose record Trump harshly criticized during his campaign. Obama campaigned extensively for Democratic presidential nominee Hillary Clinton before the Nov. 8 election and warned during the campaign that Trump lacked the temperament and qualifications to be president. Wrapping up his last foreign trip, which was overshadowed by Trump’s surprise election, Obama encouraged Democrats on Sunday to work with the new administration but said he would weigh in as a citizen if the Trump administration challenged values he holds dear. “I want to be respectful of the office and give the president-elect an opportunity to put forward his platform and his arguments without somebody popping off in every instance,” Obama told a news conference in Peru after an Asia-Pacific summit. While Trump received lawmakers, politicians and business leaders behind closed doors over the weekend, he gave some hints about his thinking and possible Cabinet choices on Twitter. From 2010 to 2013, Mattis headed the U.S. military’s Central Command, which oversees operations stretching from the Horn of Africa through the Middle East and into Central Asia including Afghanistan and Pakistan. During that time, he was at odds with the Obama administration on the need to prepare for potential threats from Iran and about resources for Afghanistan. Mattis, 66, served as an American commander in the wars in Iraq and Afghanistan and was known to be popular among the troops. A source close to Romney from his time as Massachusetts governor expressed concern he might be “frozen out” by officials whose thinking appears to be closer to Trump’s, such as Flynn, Mattis, White House counselor Steve Bannon, and members of Trump’s family. “How much influence and latitude he will have will be up to Trump, and they don’t appear to be on the same page about much,” the source said. Former Texas Governor Rick Perry, who made unsuccessful bids for the Republican presidential nomination in 2012 and 2016, will meet with Trump on Monday and is being considered for Cabinet posts including defense, energy and veterans affairs, Trump’s transition team said. Conservative radio talk show host Laura Ingraham confirmed on Sunday she was being considered by Trump to serve as White House press secretary. Incoming Senate Minority Leader Charles Schumer, a Democrat from Trump’s home state of New York, said on “Fox News Sunday” he had talked to Trump about infrastructure and that it was possible “we could get a major infrastructure bill done,” maybe even in the first 100 days of his presidency.